"A joyful heart offers healing." This morning I want to do something hugely different. While over the past year I have focused primarily on the gospel of Jesus Christ, today I want to look at something a lot of people claim Christians are not. Joy. How many of us go around looking like we have just eaten something akin to a pickle? You know, that sour look on the face that leaves your mouth puckered and somewhat unable to talk all that well? I made you laugh? Sorry. Can't say it may not happen again. "Later, Cain brought some food from the ground as a gift to God. Abel brought the best parts from some of the firstborn of his flock. The Lord accepted Abel and his gift, but he did not accept Cain and his gift. So Cain became very angry and felt rejected. "The Lord asked Cain, 'Why are you angry? Why do you look so unhappy? If you do things well, I will accept you, but if you do not do them well, sin is ready to attack you. Sin wants you, but you must rule over it'” (Genesis 4:3-7, Expanded). I understand Cain's feeling of rejection. We all feel that at times in our lives. From the first day we make friends playing football and you're the last one to be picked. Or maybe it's a team effort on a project at your job, where no one asks for your input, if much at all. Perhaps your spouse doesn't give you much time and effort to be who you can be for the sake of the marriage. Please, don't get further dejected in reading this. I'm showing how things can batter us down, but only temporary. Notice what God says to Cain. "Why are you upset (angry)? Why do you look troubled (unhappy)?" If we continue to rehearse past events over in our mind what happens? We get upset. We get unhappy. We may even say things like, "Well, why was I overlooked?" or even "My input never matters," maybe even "I don't feel very accepted in this partnership, and I meant my vows." God was showing Cain it's okay to feel the way he does. But if we notice also what God tells Cain, it brings to my mind what the psalmist says: "When I kept silent, my bones became brittle from my groaning all day long" (Psalm 32:3, Holman Christian Standard). We can feel the way we do, but if we choose to act out on how we feel it makes things much worse. Cain rehearsed and rehashed the event of acceptance so much, in his own head, he felt Abel had to be dealt with. Jealousy knows no bounds. What Abel had, Cain wanted, and he wasn't exactly thinking clearly when he put his plans into effect. We won't go there in this post. What I feel I'm obligated to do is to show that as God's children we have an amazing gift we have. If we go over to the second book of Corinthians we read this, "Consider this: Whoever sows sparingly will also reap sparingly, and whoever sows generously will also reap generously. Each one should give what he has decided in his heart to give, not out of regret or compulsion. 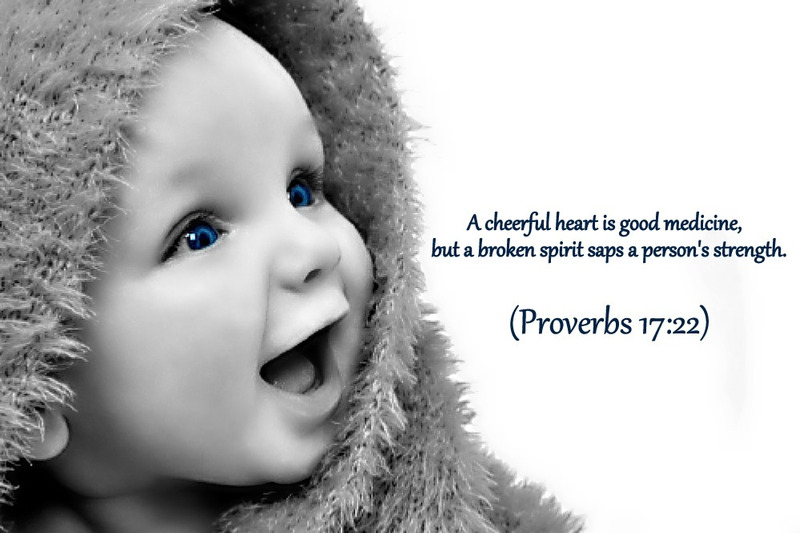 For God loves a cheerful giver" (2 Corinthians 9:6-7, Berean Study). What would have happened if Cain had kept his eyes on God instead of on his brother? What if he chose to be joyous instead of sorrowful? If we consider that while Cain was bringing out the spoils of his harvest, he sowed sparingly so in fact he was in effect reaping sparingly. The condition of his heart was already in one state rather than in the state of "Oh, I'm going to give this my best shot!" kind of attitude. I'm not saying your feelings aren't valid, but what if you look at the circumstances in a different light? The team you are on where no one asked for your input, maybe they forgot in all the activity to receive your ideas. Maybe your spouse was also having a bad day. The guys at the football field didn't know about your wonderful gift. It requires a change in perspective. If we look before Cain's exchange with God, we see this, "When it was time for the harvest, Cain presented some of his crops as a gift to the Lord. Abel also brought a gift—the best portions of the firstborn lambs from his flock" (Genesis 4:3-4a, New Living Translation). Look at Abel and his offering. What do we notice here? "Abel brought a GIFT, the best portions." If we look at Cain now, we see he "presented some." If you give your best that you have, are you presenting only "some" or "all?" Yes, Cain brought a gift too, we read it. But, he gave a portion. Abel brought the best. If we give things our best, what feelings do we have? What is it we're bringing? I find when I bring the best I have to give, my heart is full. It's not only filled halfway. My heart seems to be filled to overflowing. So, when I give the best I have to give, and I'm doing it to the fullest if who I am, is this no representative of a joyous heart? The psalmist wrote this, "The generous man will be prosperous, And he who waters will himself be watered" (Proverbs 11:25, New American Standard). So having a more than generous spirit, the kind that wells up and extends the waters to give life also receives life. Regardless of what each day brings, the person who chooses this life abounds greatly. We're not talking materialistic wealth here. We're not talking only about things that are visibly gained. This is about a huge matter of the heart. If your heart is right, then doing the right thing yields the result of being ever more prosperous. Let me put it differently in case that's a bit hard to understand. When you came to Christ, seeing your need ever before Him, that you had a need for Him, you knew He could and would heal you of your sin-sickness. That's faith. If you do something in faith, you prove what you believe is true. By walking in this way constantly you show you are no longer living in your former life--under the effects of sin. Since Christ has freed you from sin and behaving in that manner, you are now free to choose, and wisely, to keep following after Him. So, if we follow that whole line, and we operate under doing right and well, giving our best to others, giving people wise words, extending grace and love and mercy, sharing the truth, are we not prosperous in the things that refresh our spirits? The King James version reads this way, "The liberal soul shall be made fat: and he that watereth shall be watered also himself" (Proverbs 11:25). The Expanded Bible puts it this way, "Whoever gives to others will get richer; those who help others will themselves be helped." We all go through periods of doubts, of sadness, being upset and all, but we can choose our actions. That's what God was telling Cain. He was showing Cain another way. And I feel led to show there's another way in giving back to others. For Christ said this, "But I say to you, love your enemies and pray for those who persecute you; bless those who curse you, pray for those who mistreat you. Treat people the way you want them to treat you. Let all that you do be done in love" (Matthew 5:44, Luke 6:28, Matthew 7:12, 1 Corinthians 16:14, Paul used his words, but God's Spirit, which Christ gives to all gave him the power to say those words). The last words I have are ones that have been reverberating in my head for a few days: "My cup overflows." I admit I have been depressed, felt defeated for more than a week. Sometimes I don't want to do anything when I feel that way. But I can choose to be faithful, which I admit I failed to do. I desire to be faithful always, even when I fail. I believe what the psalmist is saying when he says his cup overflows is that he is joyful. His joy is made complete because of what the Lord has done for him. "You prepare a table before me in the presence of my enemies; You anoint my head with oil; my cup overflows" (Psalm 23:5, Holman Christian Standard). "You cause my enemies to watch me eat. You have blessed me immeasurably. I am joyous." If anything I always feel that giving my best is of the utmost importance. What would it say of me if I didn't? How would I look if I gave only a portion and didn't do it in faith? My heart is filled with Christ Jesus. He gave me so much. I know and realize I have withheld this lately, but I needed my head on straight. I needed to see my words matter as much as Paul's did, as much as John's did as well as Peter's. They aren't harsh words. They are words of life God gave to each of them to give to others. As Peter once said to a lame man, so now I say to you: "Gold and silver I do not have for you. But in the name of Jesus Christ, the Nazarene" (Acts 3:6) I give to you. May He show you the grace and favor you desperately need. Let the grace and mercy He has given me also be given to you. May His face and favor shine upon you. May He give you peace. But let your hearts be filled with joy. Come to him, knowing He can and will forgive your sins, making you whole. Most importantly, show others this same faith you show Him now. Let His name be made known to and among you and may your joy be made full. In Jesus' name I pray. Amen.